Opinion: Streaming — does it help music artists? In this day and age we have grown accustomed to the use of online streaming services instead of buying entertainment platforms such as games or music for the full price that they originally are. Music, has lately been a big source of income for younger generation music artists as of recently. 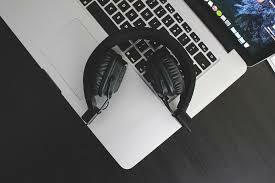 Streaming services offer relatively easier access to music and are cheaper than full with the prices ranging from $5 to $10 for a full month of whatever kind of music the service offers to the users. Streaming services such as Apple Music and Spotify at first offer the consumer a month free trial to experience what they would be listening to if they joined the streaming service at an upgraded cost. Streaming music looks as if it is beneficial to music artists and the company, but the fact is that each stream they get gives them significantly less than one dollar per stream. Artists such as Ed Sheeran, Beyonce, and Kanye receive a good amount of revenue from the streamers who listen to their music, even though the album label gets most of the lions share. But artists that aren’t as famous as these well known hit makers make little to no money, making it extremely hard for them to get paid for doing what they enjoy because of the lack of streamers they are receiving on a day to day basis. On the other hand the artist gets paid at a different income based on which streaming service they can be found on. The highest paying streaming service being Microsoft’s Xbox Music has stepped out of the streaming market because it in turn was not earning enough money to compete against the other streaming companies. Services like Apple, Spotify, and Jay Z’s Tidal are seen as having the most amount of listeners, but pay the least amount of money to their artists unlike Xbox Music which used to pay the artists at $0.02730, compared to one the least paying companies being, Spotify at $0.00397 per stream. Ultimately, companies that provide streaming for us tend to be the ones that are winning, which leaves the producers in the dust because of the amount of money they could be earning, but do not. It is true that artists make most of their money with touring around the country or the world, however it can take a toll on their physique and mentality. Some artists tend to go on a short hiatus because tours leave them exhausted. Eminem, a hip-hop artist does not go on tour for long because it at times causes him to almost relapse. Unlike Eminem, Ed Sheeran goes on tour, but just prefers not to because it keeps him away from his family and friends. The option of buying their albums, which is their main source of income has generally disappeared because of the amount of people who prefer to stream music. It seems as if the age of buying physical albums is over, digital streaming is the newest way of listen to music, although it is not that beneficial to today’s artists this is their newest source of earning the money they worked so hard for.